Do you have a small house and you are planning to decorate it with balloons for your kids birthday party? If yes, we are here with some of the possible party decoration ideas to surprise your kid that would decorate your small house without consuming much of the space. Balloon arches can be a great way to decorate your house with balloons. Your kids and his or her friends will surely love this. Balloon arches can be created and placed in your house in many ways. The most common place is the entrance. The entrance section of your house can be decorated by creating a colorful arch of the balloon. Kids love colorful balloons, and they would love to enter the place that welcomes them with colorful balloons. There are heart-shaped, circular, cartoon-character shaped, and much more types of balloons that are available in the market. You can buy these balloon and give your entrance area a new look. Balloons filled with helium gas can also be used for this purpose. You can ask your kids, his or her favorite color and choose similar color balloons to give an ultimate surprise. Colorful balloon Columns are a trend these days. You can buy some nice colors balloons and decorate pillars or create some pillar-like structure to form a balloon column. If you have a small house, you can use these balloon columns to separate your party area as well. For example, if your house is small and you don’t have nice interiors, you can use as many balloons as you want and create columns. Then use these columns as a kind of partition. If you have some space leftover, you can create a balloon centerpiece where your kids and guests can click beautiful pictures. You can find some additional decorative items like ribbons, confetti’s, fillers, etc. to add more glamour to the party. Your kids birthday comes once a year so you must make every effort that is possible to make this day memorable and the most special than ever. Every birthday should be better and remarkable. Return gifts have become must on birthday. Especially when it is the birthday of a kid. 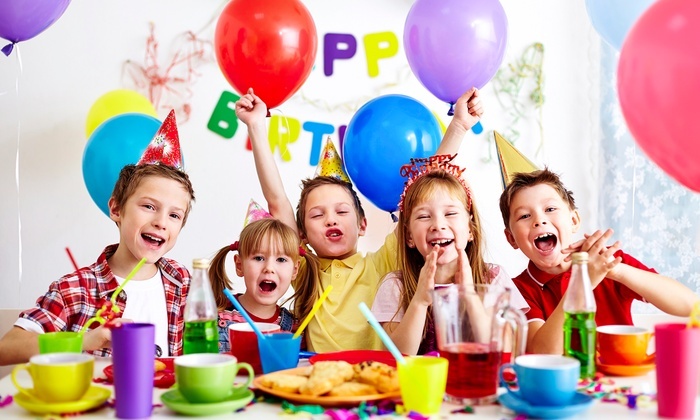 On your kids birthday party, most of your party guests would be kids who would be expected to get some return gift for the birthday gift presented to your kid. Plan and buy some attractive gifts for the guests. You can hang colorful balloons with the name of your kid or the guests printed over it. Although printing the name may increase your budget, but if you can afford, then this would be one of the best ideas that would make your kid and his or her guests happier. Above are some of the simple yet effective ways to decorate your small house with balloons on this birthday party. Hopefully, you will like these ideas and decorate your little house to give a surprise to your kid.